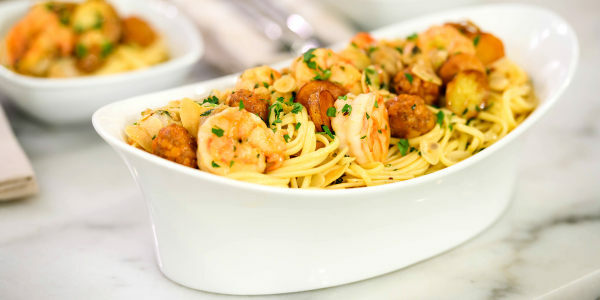 Chef, television personality and cookbook author Giada De Laurentiis is stopping by the TODAY kitchen to share two of her Italian recipes with creative twists. 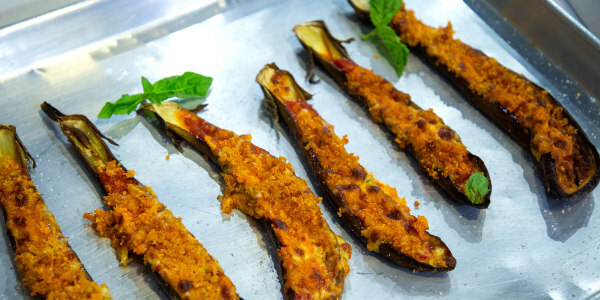 She shows us how to make easy sheet-pan eggplant Parmesan (that her daughter Jade loves!) and an antipasto salad with crispy orzo pasta. You could use regular eggplants for this recipe, rather than Japanese eggplants, but you would need to salt them 20-30 minutes before. 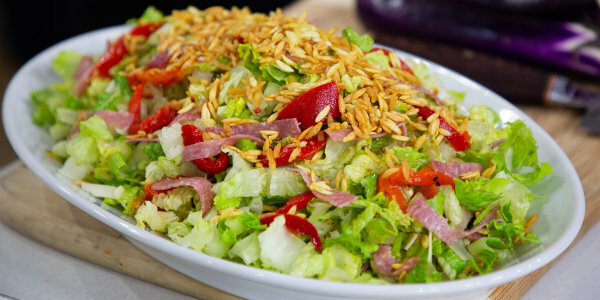 This chopped antipasti salad has a twist that takes it to the next level: crunchy orzo! You par-cook the orzo, then squeeze out all the moisture and fry it for a crispy salad topping. Make sure to use plenty of olive oil in the dressing. Especially when I am trying to eat lighter, I eat more olive oil, because that's a good fat for your body, your skin, your hair, all of it.